Just when we think we might have a chance to get out on the terrace sun-trap and sip something refreshing on a hot day -- like some Cuvée de Ranke for instance -- the weather returns with a vengeance to spoil our plans. Oh well, at least we had a few days of heat in May. That will have to last us until next year. So it’s been back to the cold-climate beers once again. Yesterday’s delicious black IPA made us forget about the weather for a brief moment, and today’s beer, Viven Porter, promises to do much the same. 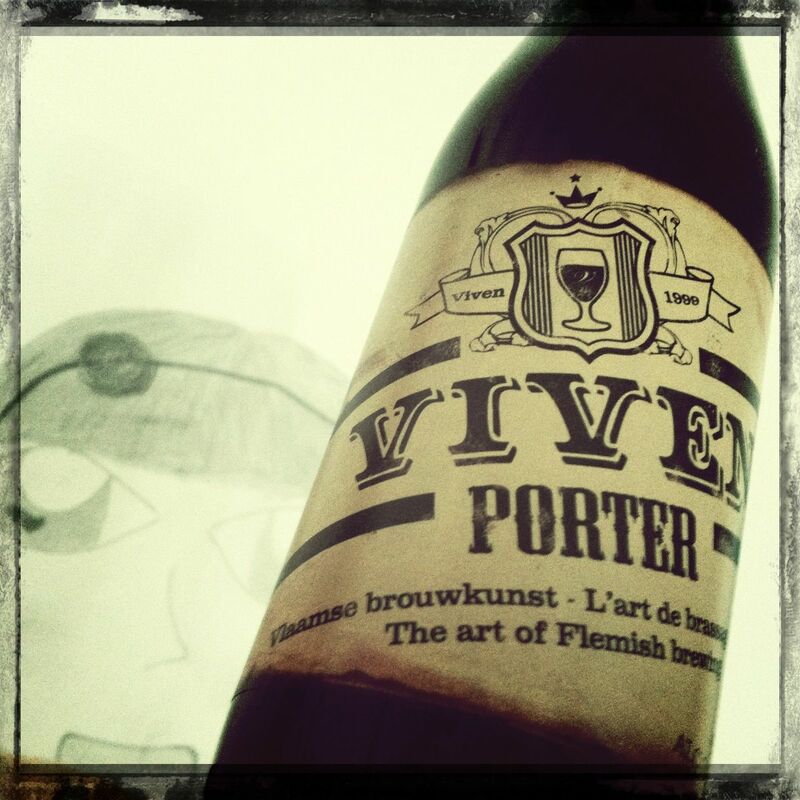 Viven Porter pours tremendously dark and rich. It’s so thick, you almost have to scrape the inside of the bottle with a thin putty knife to get it all out. Once in your glass, the aroma is overwhelmingly creosote: you find yourself suddenly sitting atop a stack of fresh railway sleepers. The flavours are equally deep and serious. Notes of oakum and tar poke out of a gorgeously creamy mouthfeel, leading up to a thuddingly bitter bite of an aftertaste. Excellent. You almost hope the bad weather will continue so you have an excuse to drink more of it. Belgium is not exactly known for its porters, so this one is a bit of a rare bird. It’s probably somewhat too bitter for many here, as sweeter brews tend to be the norm among Belgian dark ales. But here’s hoping Viven Porter catches on and becomes easier to find. BTW, Brussels Airlines is superb, even if they only offer Juliper Red. Absolutely agree on the Viven Porter; I also loved the element of smoke in the taste.